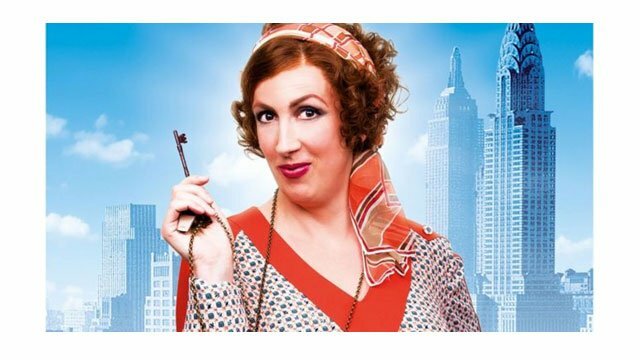 as Miss Hannigan in Annie. One of the ways I like to catch up with what some of the actors we know from our British series are up to is by checking out the London theatre listings, where invariably you can find many familiar names appearing on the West End stage. Good Neighbors’ and Rosemary & Thyme’s Felicity Kendal, for instance, is currently starring in the two-woman play Lettice and Lovage. In it, she plays Lettice Douffet, a tour guide of a dull stately home who livens up her day by embellishing facts about the home. 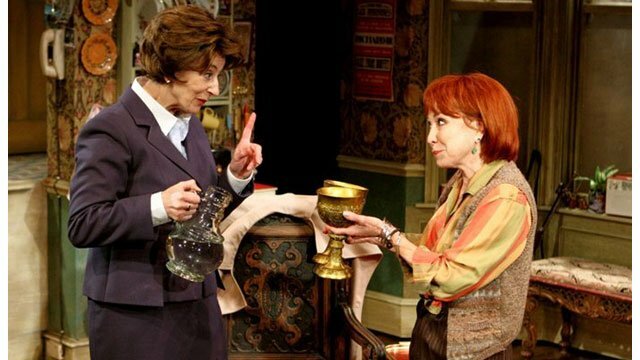 The role was originally written for Maggie Smith and Dame Maggie did it proud by winning a Tony Award for it in 1990. Maureen Lipman co-stars in the role of Lotte Schoen. 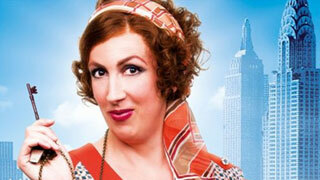 Miranda Hart, who plays Chummy in Call the Midwife, is currently appearing as Miss Hannigan in a revival of Annie. It officially opens June 5th. 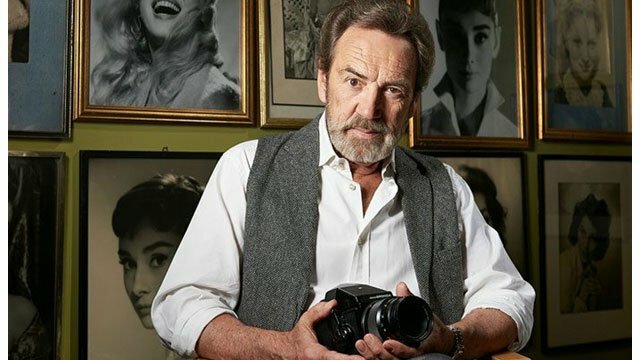 Robert Lindsay, who stars in My Family, weekday afternoons on Afternoon Tea at 2pm, is set to star in a new play called Prism, about the Oscar-winning Yorkshire-born cinematographer Jack Cardiff. Claire Skinner, who played the mom in Outnumbered, also stars. Inspector Lewis’ Laurence Fox, who plays DS James Hathaway in the series, will also be busy this fall, when he starts touring a revival production of Tom Stoppard’s The Real Thing. His ex-wife, Billie Piper (Rose in Doctor Who), by the way, recently picked up the U.K. equivalent of a Tony Award, beating out two-time Oscar-winning actress Dame Glenda Jackson who at 81 years old returned to the stage after a 23-year absence to play the title role in Shakespeare’s King Lear. Martin Freeman, Dr. Watson in Sherlock, will also be treading the boards in September, when he stars in a political comedy called Labour of Love. In it, he plays a Labour Member of Parliament. Sarah Lancashire – Lark Rise to Candleford and Halifax – co-stars as the constituency agent battling to keep Freeman’s character grounded and focused on the needs of the community instead of his career. Finally, it was really good to read that Honeysuckle Weeks, Samantha Stewart in Foyle’s War, has returned to acting; albeit in a small way. If you recall, last July Ms Weeks went missing while undergoing psychiatric treatment at a care center near her West Sussex home. She was later found safe in London. In April she made a one-off appearance in a free matinee performance of a new play called Young Girl, at the Theatre Royal Haymarket. We wish Ms. Weeks continued good health.